Bay View is a captivating community set along Little Traverse Bay among beech and oak trees just northeast of Petoskey. 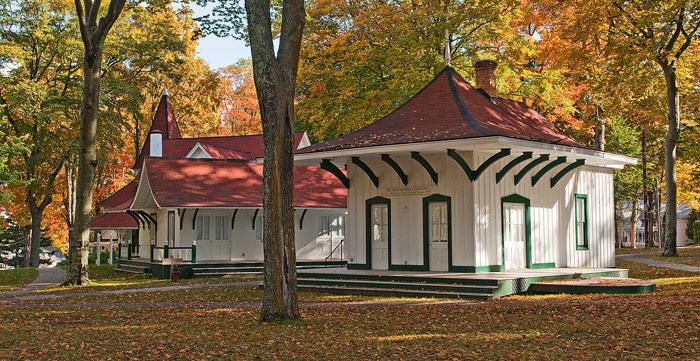 Founded as a Methodist camp and summer retreat in 1875, it was originally formed during the Chautauqua movement due to the area’s beautiful lakeside location, its healthy summer climate and availability by rail and steamship. Photo © copyright by Mike Barton.